I admire the people who devote their lives to saving the planet. My daughter recently got me interested in Sylvia Earle, an American Marine Biologist, who is also the “Explorer-in-residence” for National Geographic. Apparently, Earle was the first female Chief Scientist for the United States National Ocean and Atmospheric Administration (Did not even know the existence of such organization, Shame on me!). She said: “By the end of the 20th century, up to 90% of sharks, tuna, swordfish, mackerel, turtles, whales and any large creatures that prospered in the gulf for millions of years has been depleted due to overfishing”. This is indeed alarming! If sea creatures are near extinction in the West, under the regulations of National Ocean and Atmospheric and Administration, what hope do we have? I often reminisce about watching Shoring Sea turtles in Rantau Abang when I was growing up in the East Coast of Peninsular Malaysia. Sadly, those days are gone; especially as people continue to consume turtle eggs. I am by no means an “Eco-Warrior”. I admit, my children are horrified that I still occasionally indulge on the useless, keratinized shark-fin (which has no nutritional value) at traditional wedding dinners! I guess, however, that my recent visit to the Tasman Sea has caused me to believe it would be criminal to lose whales to extinction in the near future. The previous Governor of Colorado, Richard Lamm once warned: “Our Globe is under a new dramatic environmental process. Our Globe is warming, our ice caps melting, our glaciers receding, our coral dying, our soil are eroding, our water tables falling, our fish depleting, our remaining rainforests are shrinking. Something is very wrong with our ecosystems”. On that note, I would like to shift our focus from depleting sperm whales to diminishing human sperms. Is there something wrong with the male human reproductive capacity too? Are depleting sperms a real phenomenon which could soon becoming a catastrophe. 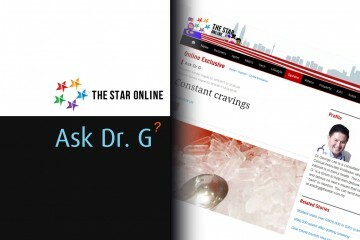 Let’s deal with the questions raised by a concerned reader. I am 25 years old and will be getting married in a year. Don’t get me wrong, I have no sexual problems (not yet, anyway). I just have a curiosity that I hope you can help me with. I recently went for a check up for my overall health. I was persuaded to do a sperm count and I did it. (Wasn’t as bad as I thought it would be). The fact is the count is good (50 million/ml, normal is more than 15 million, right?). However, I read over the Internet that at my age, the figures should be better. Do you believe the sperm counts for men are depleting? Do you think I will have enough gametes by my early thirties, when I will be considering family? You don’t think I need to freeze some sperm for the future, do you? By the way, why is there a decline in men’s reproductive capability? The prevalence of infertility amongst couples has been reported to be 15% and the male factor reproductive deficiency is estimated to be ranging between 25 to 40%. Although the World Health Organisation had set the parameters considered the minimal standards for reproductive purposes, this is generally a guideline and the etiology of infertility is usually multifactorial. The parameters assessed for sperm analysis include number of gametes (15 million/ml), its morphology (at least 4%) and its motility (generally 40% or more actively progressing forward). Despite the importance of the sperm quality, the most important prognostic factor that determines the fertilisation is the female age (of course, the younger, the better). The fear of a catastrophic male reproductive crisis was brought about when researchers published the scientific findings in the British Medical Journal in the early ’90s. These researchers tracked the sperm counts of volunteers between 1938 and 1990. The data highlighted shattering news. Clearly, such a potential crisis drew the interest of scientists and the world at large. After all, it is the future of mankind at stake here. Nearly two decades after the initial report, French experts acquired the data from men with normal spouses presented with infertility. Their sperm analysis, which should have been normal, also saw a decline to 50 million/ml, with the average age of participants being 35 years old. The American Motivational speaker and best-selling author Denis Waitley, who is also the founder of the National Council for Self-Esteem (seriously, this organisation exists? ), once said: “Time and health are two precious assets that we don’t recognise and appreciate until they have been depleted”. I actually am uncertain myself with the data that suggests a looming male reproductive crisis. But, the solution is simple, when we look after ourselves and the planet, the depletion of sperms (and sperm whales) may just be spared. 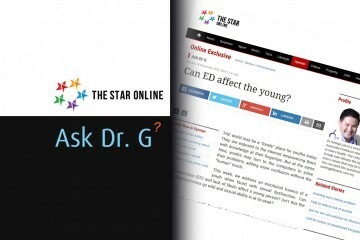 Can ED Affect The Young? Where & when to see Dr Lee.